Dr. Horst Schaffer is a founding partner of the firm Schaffer & Partner founded in 1987. After having completed his studies of Business Administration and his stay in the USA over several months, he worked for a reputable tax consulting and auditing firm in Nuremberg. He qualified as a tax accountant in 1985 and as a chartered accountant in 1986. He did his doctor’s degree at the University of Economic Sciences of Budapest in 1996. Moreover, Dr. Horst Schaffer is a founding partner of the management consultancy Schaffer & Collegen GmbH as well as CEO of Schaffer WP Partner Wirtschaftsprüfungs mbH. He is in the managing board of a non-profit foundation as well as a member of several supervisory boards. 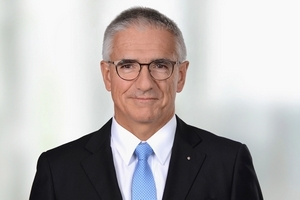 Besides his lecturing activities, he is a member of the jury for the Businessplanwettbewerb Nordbayern (Northern Bavarian Business Plan Competition) and the Bayerischen Gründerpreis (Bavarian Founders’ Price). Furthermore, is a member of the international board of AGN International.